We made these turkey sloppy joes recently and while the kids looked at me funny for them – they were totally a hit in the end! This sloppy joe recipe is so delicious – you won’t even miss the version you’re used to. These are perfect for the nights when you need something healthy. This homemade recipe is so delicious, and I even walk you through how to make it step by step. And man they are good!! 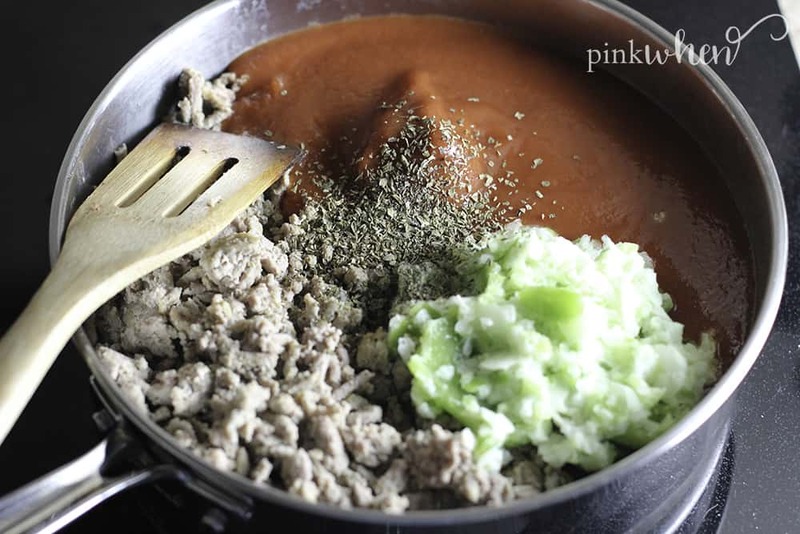 This mixture is so delicious, you’ll be craving more of these healthy sloppy joes. 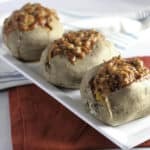 Even your kids will love these turkey sloppy joes once they take a bite. They are THAT good!! Of course you’ll want to grab the full recipe, but it’s as easy as cooking the mixture in a pan and loading it into your cooked sweet potato. Just scroll down below to get the full recipe. 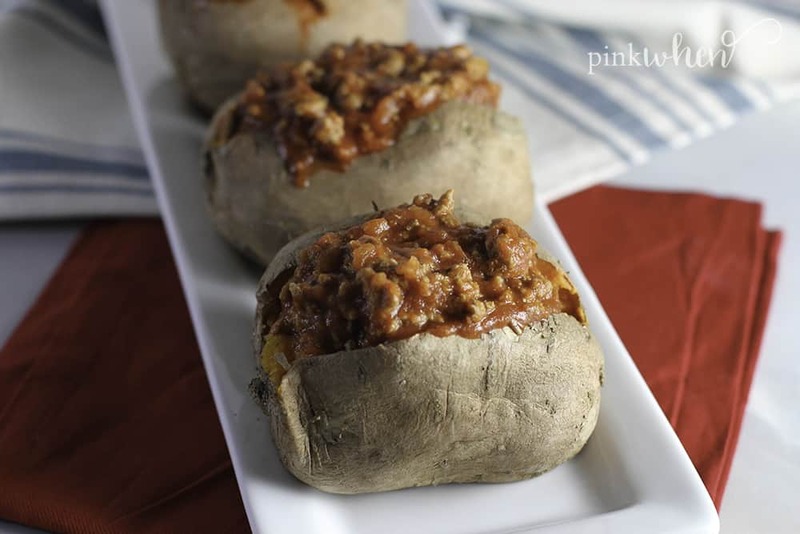 One thing to keep in mind for this sloppy joe recipe, is that times in the oven will vary when you cook your sweet potato. Make sure to check on them frequently depending on the size of the sweet potatoes. You don’t want to overcook them for this healthy recipe! 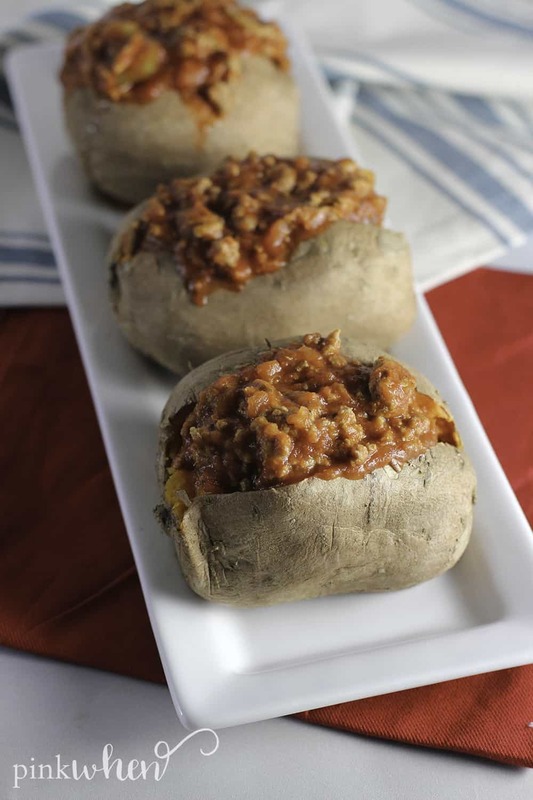 This sloppy joes recipe makes 4 sweet potato sloppy joes, but you can always make more for even more sweet potatoes. You’ll just want to adjust for the recipe increase. You can make as much of the mixture as you want, and fill up lots of sweet potatoes for a healthy and delicious dinner. I know you are just dying to get to make these, so I won’t keep you waiting. 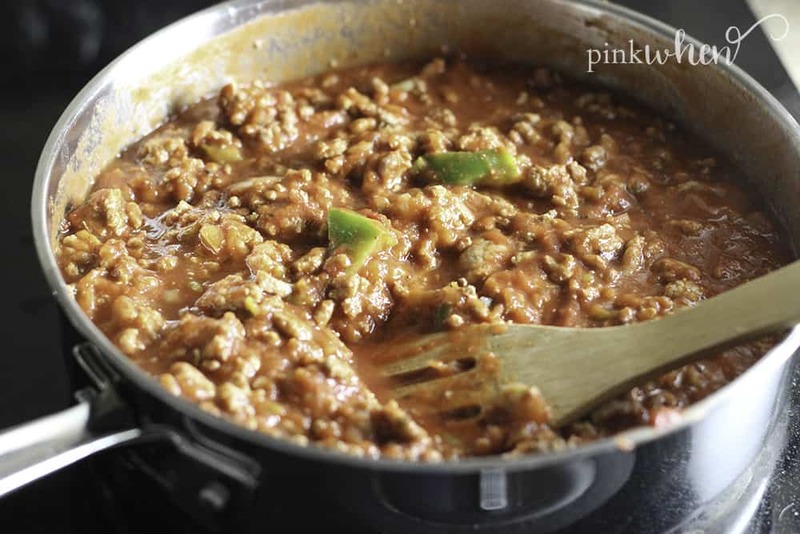 You are going to LOVE these turkey sloppy joes – they are so good! 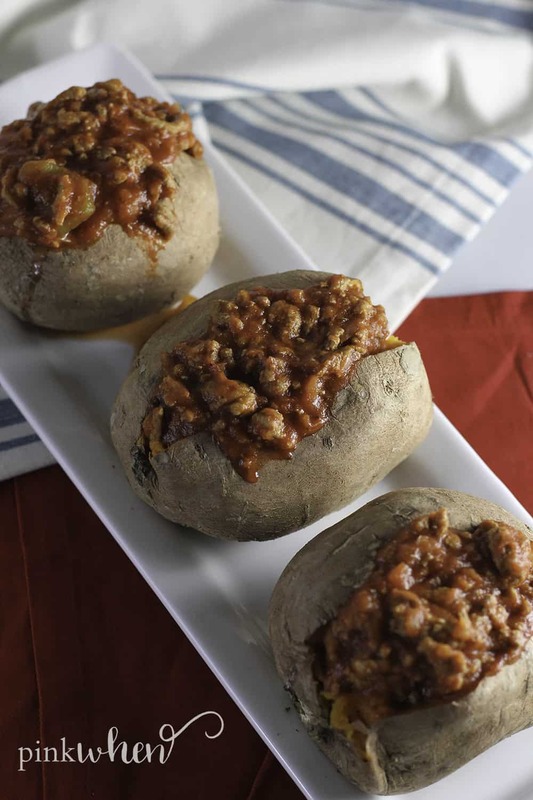 On nights when you just NEED a healthy recipe - these healthy sloppy joes are the perfect meal! This sloppy joe recipe is so savory, tasteful, and delicious! It is the PERFECT turkey sloppy joes recipe! I guarantee you'll be running to this sloppy joe recipe again and again. Preheat the oven to 425 degrees. Pierce the sweet potatoes all over the skin with a fork. Rub the outside of the potatoes with olive oil and cover with foil. Bake in the oven for 1 hour until fully cooked. Brown the ground turkey in a skillet on medium heat. Once it's finished cooking, add the onion, bell pepper, and garlic. Mix well. Cook until the mixture is fully cooked and starts to crumble. Stir in the garlic, water, tomato paste, and tomato sauce. Stir until mixed well. Turn heat down to low and simmer for 20 minutes, stirring occasionally. Remove the sweet potatoes from the foil and slice down the middle. 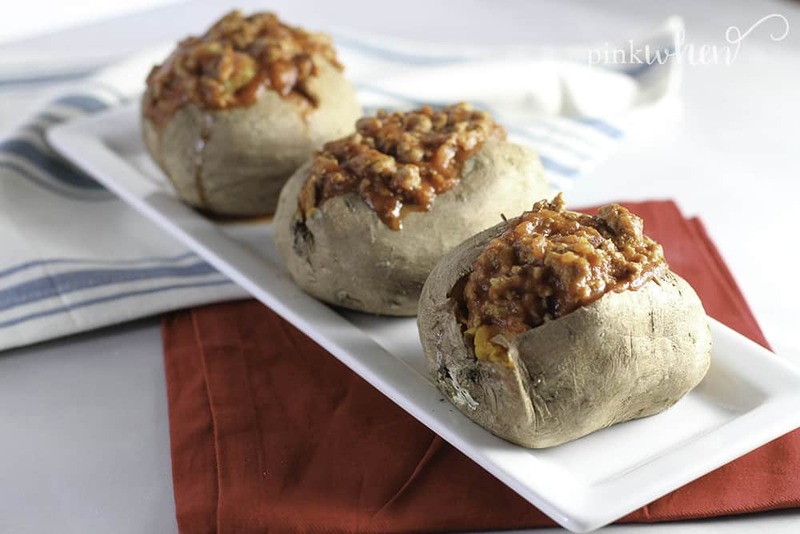 Mash up the insides with a fork and pour the sloppy joe mix over sweet potatoes. Serve and enjoy! 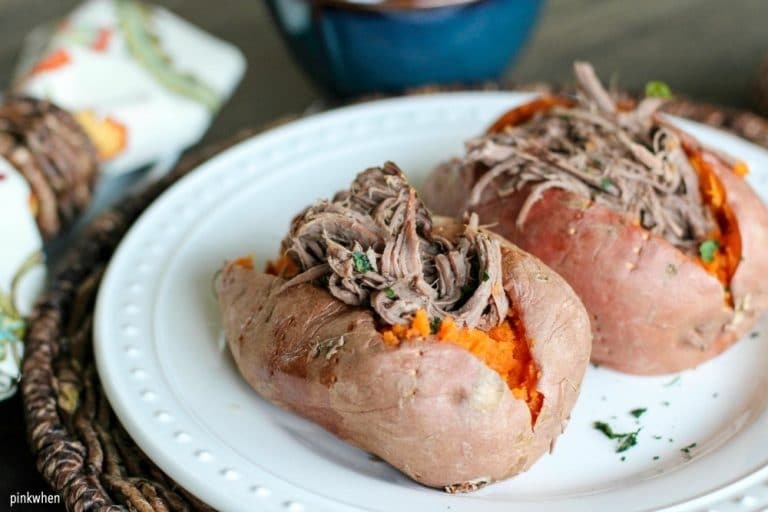 If you loved this recipe, you’ll really love these shredded roast beef stuffed sweet potatoes! 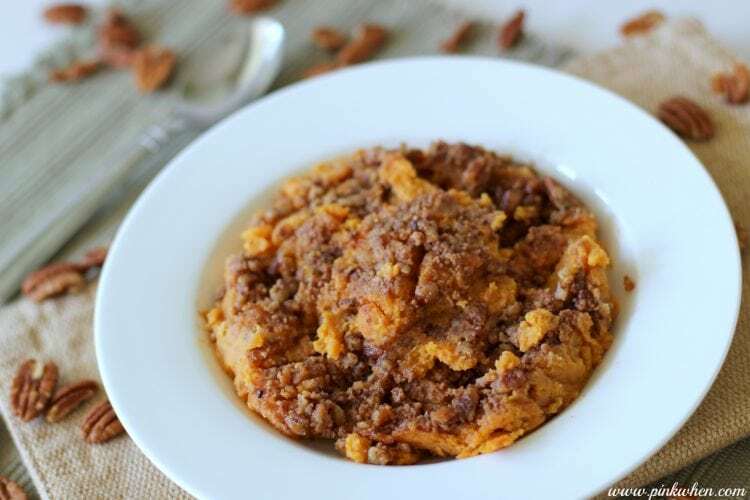 Or this yummy sweet potato casserole!